I love what I do and am so grateful for the beautiful weddings I get to witness and photograph. Because I have a day job as well, I have been able to create a wedding photography business as close to a dream job as you can get. I am filled with gratitude constantly for what it has become. It also, sometimes, still has that job part attached; the part that means requirements and expectations, answering emails and managing my schedule. The not so glamorous side of any work. As a creative, being able to listen and create the art I feel called to is the center I am always trying to find. Lately I have found the courage to say yes and chase every creative pulse that stirs. It has brought me to a pottery wheel, to inviting mothers and their babies into my home, photographing families everyday. None of which helps pay the bills, but through simply creating from the heart I am centering in on what makes me feel most alive. And this. 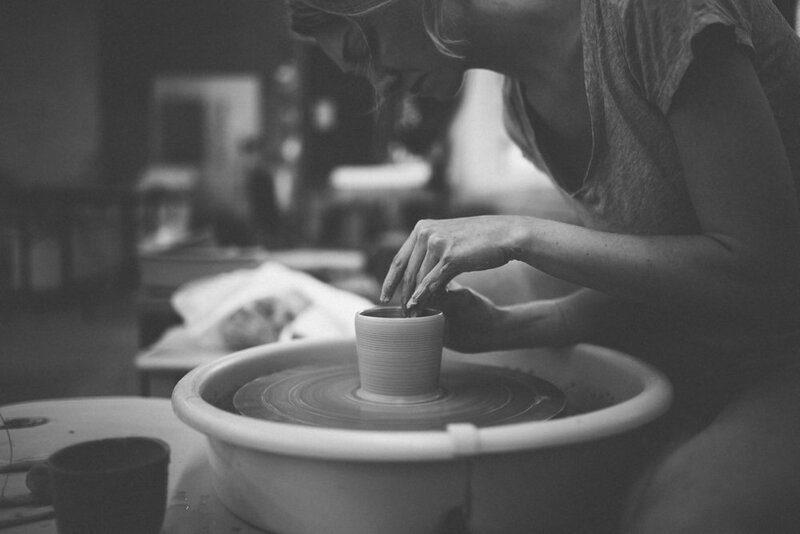 A woman and artist, pouring her energy and light into her craft. These images feel like both our hearts cracked open. A powerful and brave statement of this is what I am here to do. Thank you Aubrey for sharing that space.